So now for the logo. 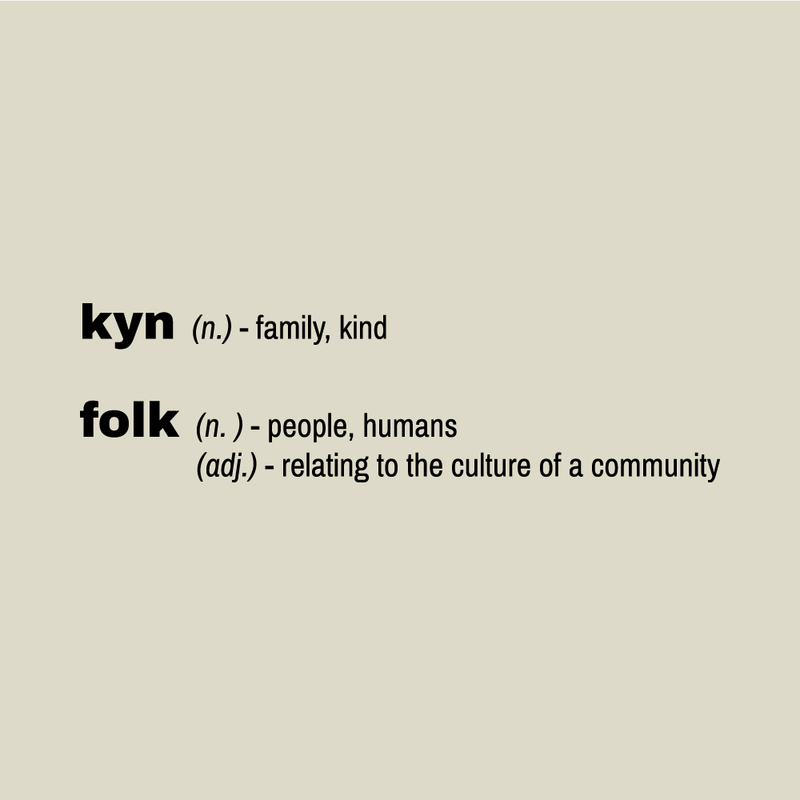 I knew I wanted layering in the Kynfolk logo to represent the diversity yet connectedness of the human experience and I knew I wanted a fresh, unpredictable colour palette but was unable to articulate this into a vision of a logo. Luckily it is my very good fortune to have Sian Saxon of siansaxon.com as a neighbour and good friend. She advised me to Pinterest-trawl what I liked and send the boards over to her. After many enjoyable hours travelling down tunnels of Pinterest, I excitedly sent Sian ‘Kynfolk Vibrant‘ and ‘Kynfolk Vintage‘ boards. From this eclectic harvest of images, from Singaporean stamps to Pelican book covers , Sian used her design wizardy to read my mind better than I could myself and she came back to me with an incredible range of logo ideas. After running the ideas passed Steve Bruun of bruun.uk.com and Lou Vigars of The Cabin, the Kynfolk semi-circles and colours were nailed. I am very, very happy with the logo. It feels warm, human, versatile, vibrant and celebratory. I can’t thank my visual gurus enough!